When the Roman people honored a simple warrior for the victories in battle they angered the god of war. Mars, infuriated, sends his army and brings great destruction to the Roman people. Experience a challenging match 3 game and help the Roman people appease Mars, the god of war! Build and restore the proud city to its original splendor. In Legend of Rome play through an exciting story, earn bonuses, power ups and trophies, solve mini-games and extra levels to get closer to your goal. Varied match 3 game with many extras. Play through a challenging story. Build and restore the city. Earn different bonuses, upgrades and extras. Solve challenging mini-games and bonus levels. When the Roman people honored a simple warrior for the victories in battle they angered the god of war. Mars, infuriated, sends his army and brings great destruction to the Roman people. Experience a challenging match 3 game and help the Roman people appease Mars, the god of war! Build and restore the proud city to its original splendor. In Legend of Rome play through an exciting story, earn bonuses, power ups and trophies, solve mini-games and extra levels to get closer to your goal. •	Varied match 3 game with many extras. •	Play through a challenging story. •	Build and restore the city. •	Earn different bonuses, upgrades and extras. •	Solve challenging mini-games and bonus levels. Unravel the secrets of Cliffmont Castle in this enchanted match-3 journey! Explore vast levels, collect precious treasures and solve tricky puzzles on your quest among the cavernous dungeons. But be wary - the malevolent Dragon Master Dragor has returned with his evil horde to Crimson Valley. Fight off enemies, explore mysterious passageways, and with the help of Finley the Leprechaun, build strongholds to defend the kingdom from the dark invasion. •	Play at your own pace in relaxed or moves limited mode! People are going missing in Berkshire... One girl named Amalia has been found at an abandoned prison, but was killed under mysterious circumstances. Her death note blames two policemen who found her. But they are innocent! The detectives start an investigation to clear their names and to find the murderer... They soon understand that magic is involved in this case: they find a mysterious ring with strange symbols. Can you find out what happened at that abandoned prison? Do you want to learn more on that ring? 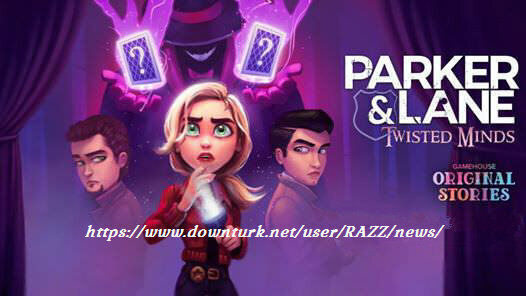 Play this detective puzzle game! Heed the call of the Sacred Dragon! Zarya resumes her journey, decided to release the Sacred Dragon who was sealed centuries ago in the snowy peaks known as The Frozen Tomb. She will meet new (and weird) characters, solve puzzles, unlock power-ups, battle his way through several beasts, and grow to become a master warrior! 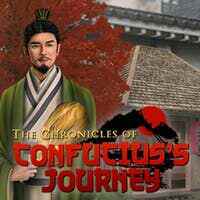 It will be a long journey, with several gameplay novelties, plenty of battles and extra missions, yielding the most complete and alluring DragonScales game ever! - 12 missions for extra items and coins. - Collect up to 65 stars to unlock missions. - New battle system based on arrows. - Achievements and stats tracking. - Colosseum with 20 battles. - Up to 16 unlockable magical cards which can be replenished via the in-game store or the new Dragonphant bar. - Improve Zarya's status with stronger weapons and defensive equipment. - Special control mode for computers with a touchscreen. It's Christmas time in the Queen's land and she decided to celebrate! 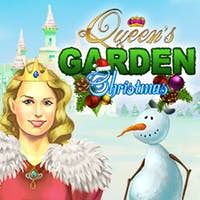 Help Jack, her loyal adviser to decorate the garden for a magical Christmas season in this merry match-3 game! Individual garden cells for full customization. Help Trito, son of Poseidon, save his family and the entire underwater kingdom from the intrigues of the sly Sea Witch. The wicked sorceress has charmed the Sea God, broke his trident and scattered its fragments across the ocean. Embark on a vibrant match 3 adventure through ocean worlds, meet unique underwater creatures, restore the sea garden and rebuild fabled underwater cities!